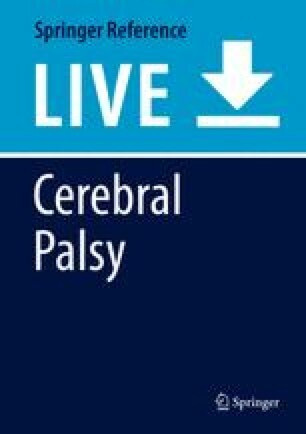 There are several medical challenges for a family with a child with cerebral palsy, which include the clinical management of respiratory diseases, such as asthma, aspiration pneumonia, obstructive airway, and progressive restrictive lung disease. The clinical symptoms of asthma include spastic coughing, wheezing, diminished breath sounds, and multifocal rhonchi. Diagnostic studies may include chest X-ray, nuclear imaging studies for reflux and selected laboratory studies for IgE antibodies to allergens. The clinical history should include questions from the Asthma Predictive Index to determine the children’s risk for asthma and the Asthma Control Test™ to report current respiratory symptoms exemplified by cough, dyspnea, and congestion. The final assessment of the asthma diagnosis should reference the National Asthma Education and Prevention Program to assess the impact of the asthma symptoms upon the child’s respiratory system. The diagnostic assessment of asthma in a child with cerebral palsy reflects the in-depth process of collecting clinical and historical information in order to determine the appropriate treatment to control the asthma symptoms. Proactive medical management for asthma can improve aerobic conditioning and decrease the risk of worsening respiratory disease.